We've seen AI technology get hyped in the past much like we're seeing today. But there may be reasons to believe that AI is for real this time around. Artificial intelligence tools are getting a ton of attention right now and there seems to be industrywide consensus that the technology is finally ready for prime time. But if you've followed the computing industry for a while, you may be thinking, "Haven't we seen this before?" It's true that since the dawn of computing, developers have worked on artificial intelligence. There have been several moments where people thought the problem was finally about to be cracked, only to see challenges mount. Each period of AI optimism has been followed by an inevitable AI winter. So, is this time different? 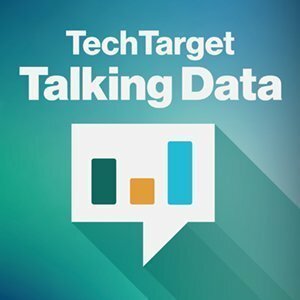 In this edition of the Talking Data podcast, we debate the durability of today's AI optimism to get a sense of whether the trend will finally lead to usable artificial intelligence tools. Several features of today's environment provide reason for optimism. Training data sets are bigger than ever, and computing resources available today are unprecedented. The scope of projects is also different than in the past. On the other hand, some of the problems from the early days of AI persist, including the difficulty of building algorithms that can match human brain power, even if only for a specific task. Listen to the podcast to learn more about what separates today's artificial intelligence tools from the AI of yesteryear, and see if you think we've finally turned a corner toward true applicable AI. Do you think today's artificial intelligence tools will live up to the current hype? Human Intelligence can never be emulated by a computer. It can easily be shown that, if it could, such an emulation would be a contradiction to the way a computer actually works. Complex logic at best. Already thought through by software developers. Intelligence in human sense No! Never!